Since 2003, the Iron Bridge Wine Company in nearby Columbia has been a wine connoisseur’s dream destination. Friendly, cozy, lively…the atmosphere is perfect for enjoying with friends. (For more of our recommendations, download our free area vacation guide!) Even better, the food and wines match the atmosphere’s quality. The wines in Iron Bridge’s extensive collection come from small vineyards all over the world. The delicious food is presented in healthy, small-plate portions. And who wouldn’t love gourmet coffee and decadent desserts? 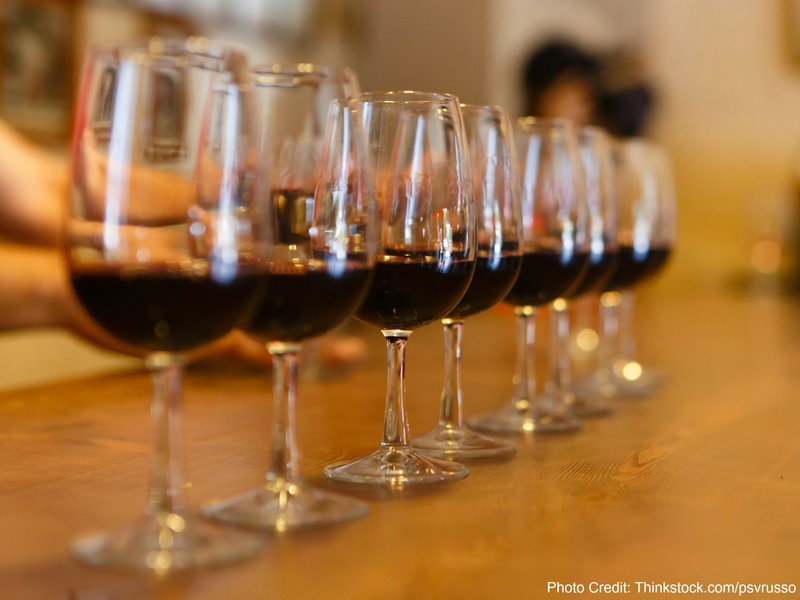 True to its philosophy of sharing a love of wine, there are wine tastings and special events going on every month. For each of the service times, there are delicious menus for you to choose from. There’s also an outstanding Cheese and Charcuterie menu, and an array of fabulous Flights for the wine connoisseur. If you prefer non-alcoholic beverages, Iron Bridge offers a number of delicious drinks, including Italian sodas and virgin cocktails. The Iron Bridge Wine Co. is the perfect place to celebrate Valentine’s Day. Celebrate in style with the Chef’s Fantastic 4-Course Menu. $85 per person, with pre-paid reservations required. Seatings available from 5-9pm. We know that wine and fine food enthusiasts will adore Iron Bridge. We’d be happy to share more recommendations for your next visit to Howard County with our free area vacation guide. We’re particular fans of our hometown, historic Ellicott City! Follow the Wayside Inn blog for regular recommendations of things to do, sights to see, restaurants to try, and events to enjoy in and around Howard County—including Washington DC, Annapolis, Baltimore and more! Our excellent location and historic building, as well as our fantastic breakfast, make Wayside Inn the perfect place to get away! Check out our packages for a truly indulgent stay.